1. 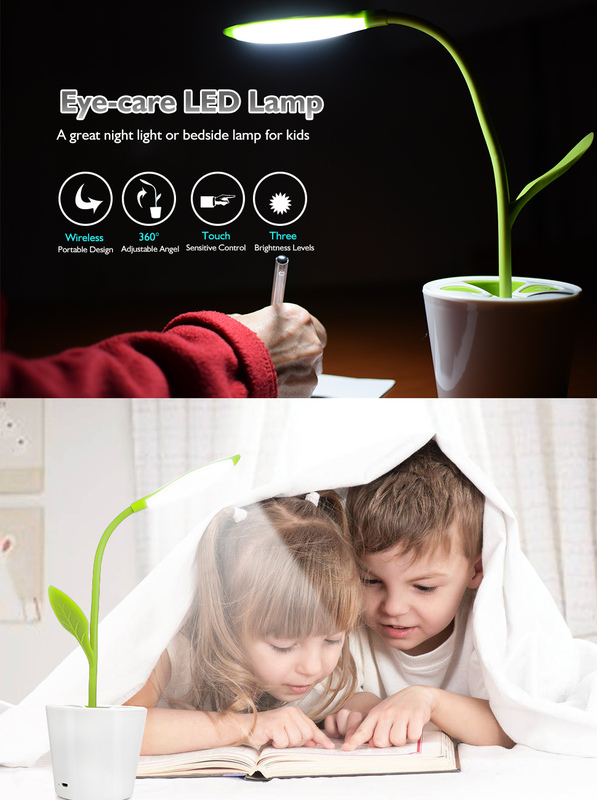 Creative novelty design kids light: sapling plant table lamp with pencil holder, can be used as a night light, bedside light, reading lamp or decorative lights in home, office, nursery school etc. 5. Rechargeable USB desk light: built-in rechargeable Lithium battery, powered by USB port, cycle charge led lighting, long life of working. After fully charged, the lamp will last 15 hours consecutively in the dimmest light; 10 hours in medium light and 5 hours in brightest.